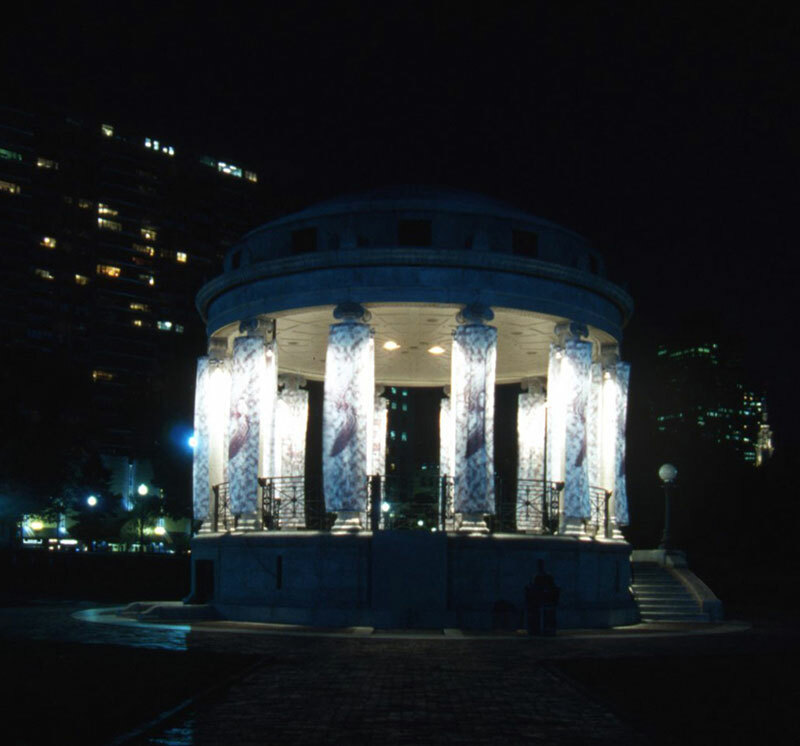 Colonnade , 1998. Parkman Bandstand. 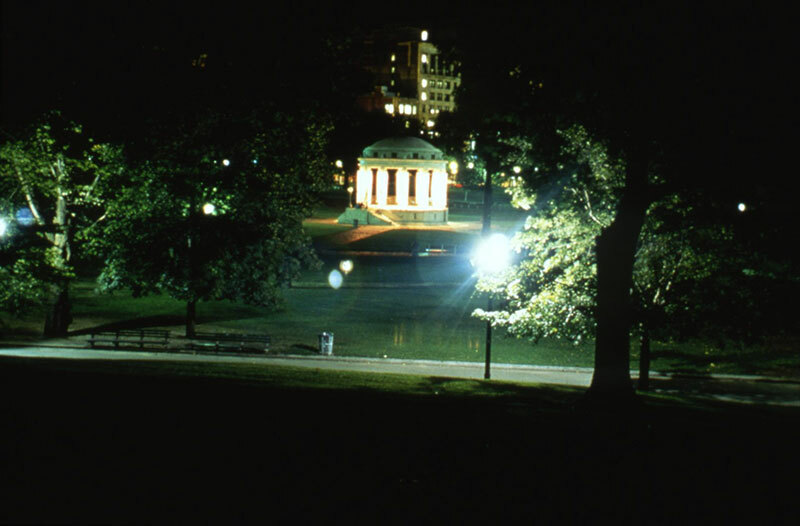 Colonnade , 1998. Night view. Soft monument. Parkman Bandstand. Colonnade , 1998. Night view. Soft monument. 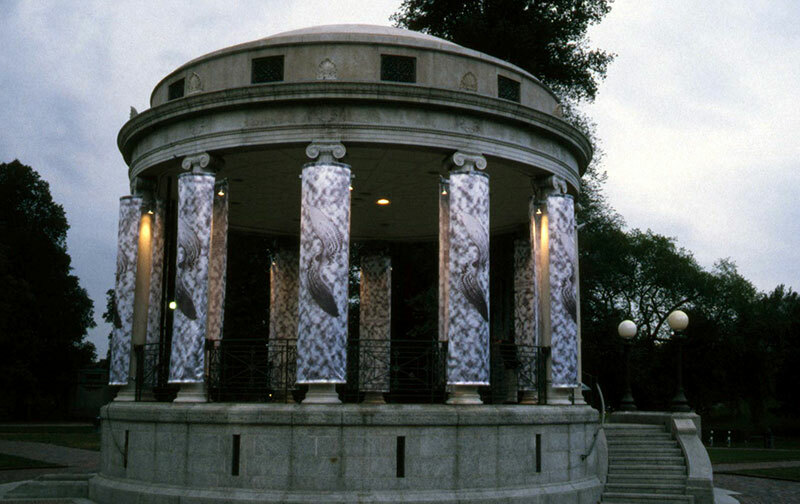 Temporary site-specific public artwork transformed historic Parkman Bandstand into a ‘soft monument’. Bandstand architecture amplified sounds of breezes and winds to full force. 24 parachute-silk fabric panels mounted on aluminium collars clamped to existing columns. Images of eagle’s wings from statuary and plaque rubbings from war monuments on the Common. Armature for fabric with lighting between designed by nArchitects, NYC. 487,68 cm high x 762 cm diameter (16’ high x 25’). Commissioned by Let Freedom Ring, Vita Brevis, Institute of Contemporary Art (ICA) Boston.